This week I’m in the Big Apple for my NYC launch of CLOSET DESIGN BIBLE, and I’m soaking up all the energy and inspiration that inevitably comes with a visit here. I don’t have time to make it to my favorites or to check out all the hot new haunts, but in the spirit of being here, I’ve rounded up a few of my favorite design-driven hotels, restaurants, boutiques and cultural attractions across the city’s top neighborhoods. 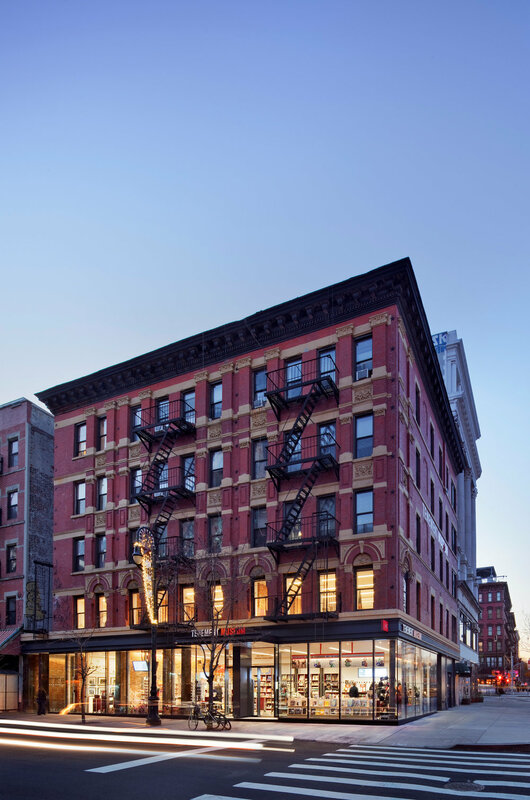 Hotel: The Ludlow Hotel -- Adorned with factory-style casement windows, red-brick facade and a lofty industrial vibe, this gritty-meets-chic boutique hotel feels quintessentially NYC. Restaurant: Russ & Daughters -- For a classic NYC-style bagel and lox breakfast, this fourth generation, family-owned eatery and shop delivers the ultimate East Coast deli experience with classic counters and wood serving platters. 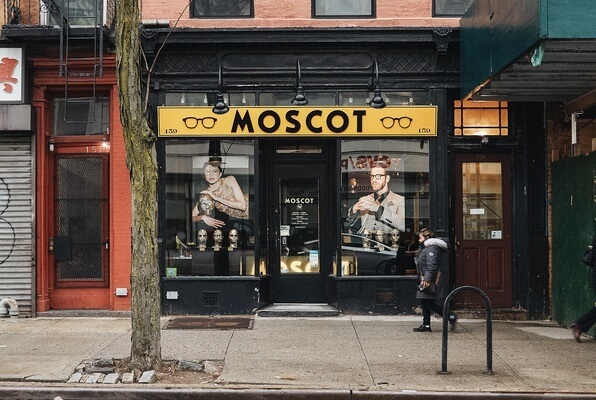 Boutique: Moscot -- This 100+ year old eyewear boutique is the go-to spectacle shop for those in-the-know. Blending traditional with a hipster edge, getting glasses and shades here is a true NYC experience only enhanced by the cool, vintage displays. Cultural attraction: Tenement Museum -- A National Historic Site, the Museum's two historical tenement buildings were home to an estimated 15,000 people, from over 20 nations, between 1863 and 2011. Tours spotlight apartments that recreate immigrant life in the 19th and 20th centuries, which give you a new appreciation of small spaces, even by today’s standards! Hotel: The Whitby -- From the famed Kit Kemp, The Whitby is impeccably designed, fusing contemporary design with traditional elements. And, the location can’t be beat with Central Park, museums and world-class shopping steps away. 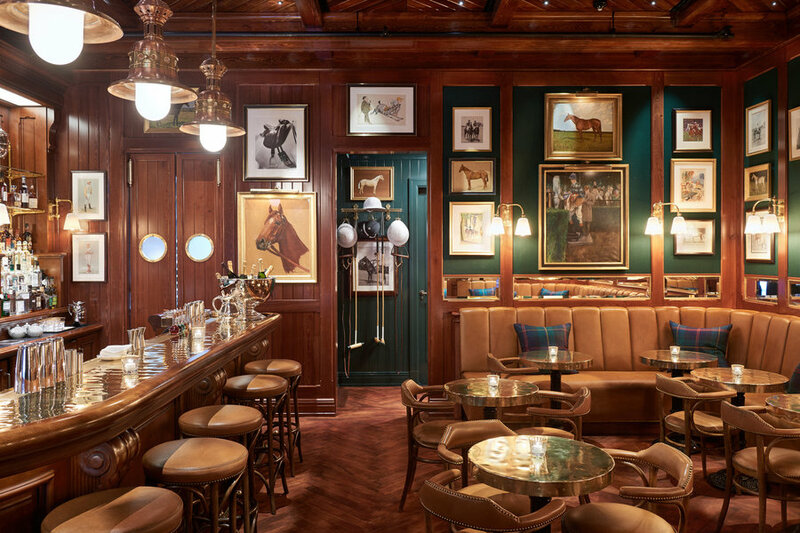 Restaurant: The Polo Bar -- Even after being open a few years, this is still a hot ticket in town. The food is excellent and the Ralph Lauren decor, inclusive of plaid pillows, equestrian artifacts and mahogany walls, is even better. Store: Bergdorf Goodman -- Chloe, Gucci, Prada...oh my! It doesn’t get better than this iconic multi-level store that was established in 1899 and maintains many of its original details. The stunningly-designed retail institution features everything from gowns to sportswear to home decor. And, the shoe department alone is a sight to be seen! Cultural attraction: The Museum of Modern Art is a midtown-must! In addition to featuring incredible art, the MoMa store is the best place to scoop up cool finds and unique gifts. Hotel: 11 Howard -- This cutting-edge Scandinavian designed hotel has my heart. From the clean lines to the bathroom’s marble countertops and brass hardware to the cozy, perfectly-pink throw blanket, this place is a design-dream! PSA: You can purchase the blanket which makes a great throw! Restaurant: Le Coucou -- It’s no coincidence one of my favorite downtown restaurants is located in 11 Howard. 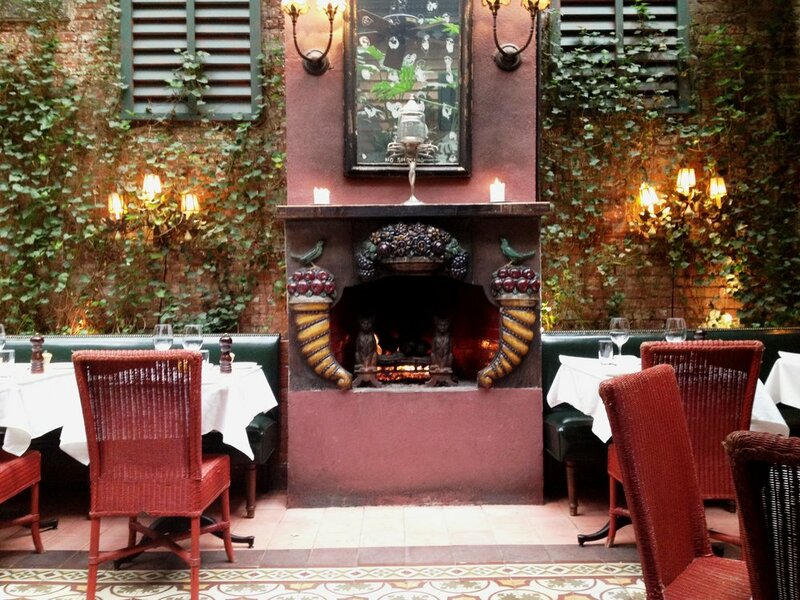 Though grand and glamorous, this lavish, candle-lit French eatery feels totally intimate. Boutique: The Apartment by The Line -- SoHo is dotted with incredible shopping, but one of my must-visits is this unique concept store that you enter through an unsumming door. Head upstairs and find an impeccably designed apartment with every item for sale. Modern rugs, lighting, candles and clothes are styled to a T.
Cultural attraction: Jeffery Deitch Gallery -- The founder of Deitch Projects, Jeffery is a staple in the art community. I adore his curation of provocative pop-culture pieces that always make a powerful statement and his gallery is always a fun experience. 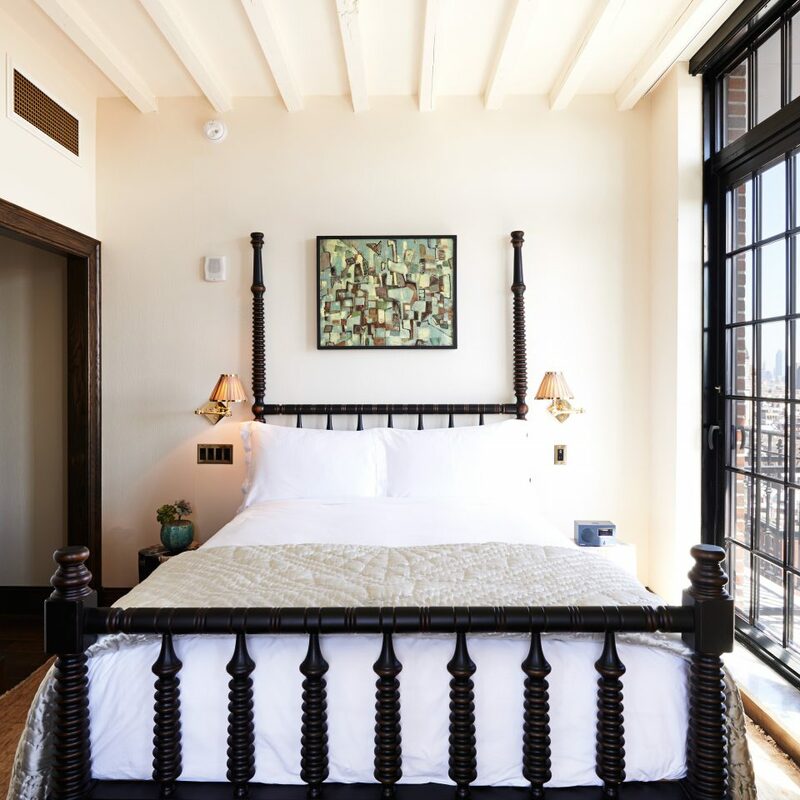 Hotel: The Jane -- Originally built as a hotel for sailors with cabin-like rooms, this bohemian boutique hotel transports you back in time, while offering a refreshingly timeless experience. Restaurant: Waverly Inn -- This exclusive townhouse-style eatery owned by media mogul Graydon Carter, is the perfect place to enjoy a cozy meal. The low-lighting and lots of little tchotchkes are all part of the homey ambiance. Boutique: Aedes Perfumery -- This niche shop stocks the best fragrances in the world. Not only does it smell amazing, the moody, almost gothic space brings together the best small and unknown perfumers from around the globe. 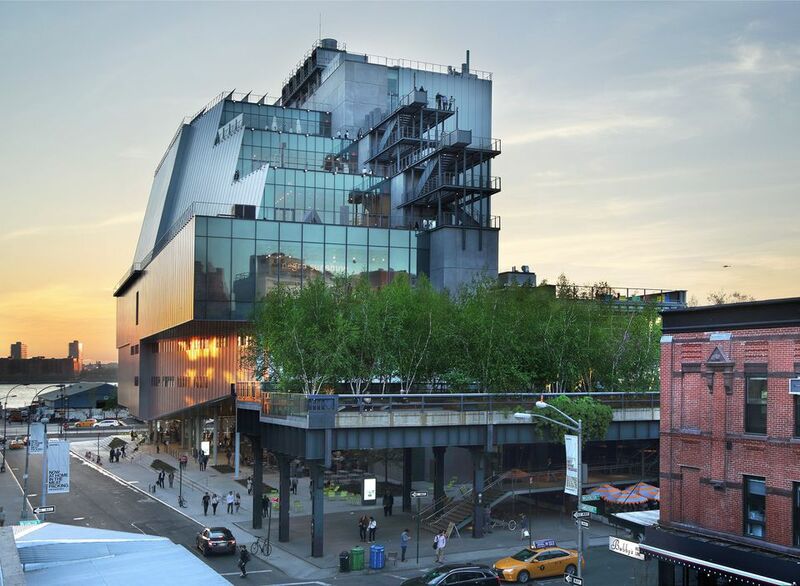 Cultural attraction: The Whitney Museum -- Not far from the Village, the Whitney has become one of the world's leading museums of 20th-century and contemporary art, exhibiting promising and influential artists. The building itself is rather sterile, but the views from the top are some of the best in the city! 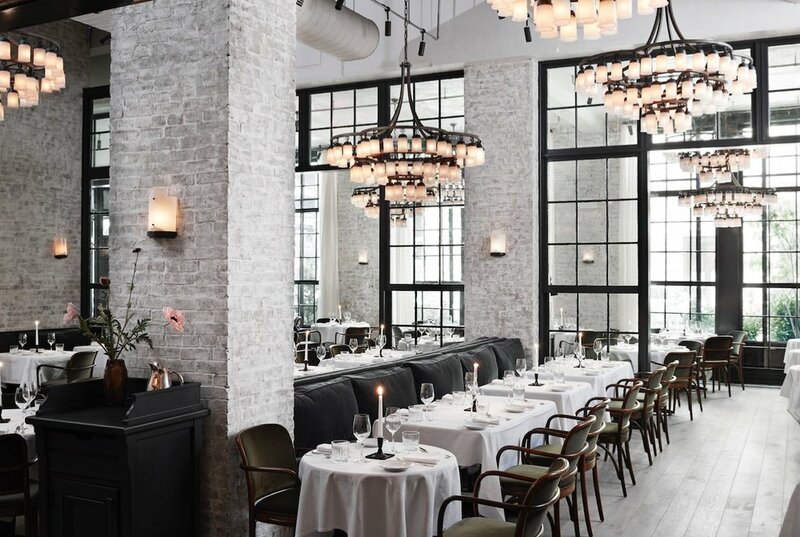 Hotel: Williamsburg Hotel -- Nostalgia meets modern at this hip Brooklyn hotel. A mix of design details like architectural fixtures, artwork from locals and custom toile-inspired Flavor Paper wallpaper designed by Mike Diamond of the Beastie Boys, makes for a memorable stay. And, not to mention, the rooms’ floor-to-ceiling 10-foot window views of Brooklyn and Manhattan. Restaurant: Lilia -- A visit to NYC wouldn’t be complete without an indulgent Italian feast and this is just the place to do it. The modern, monochromatic space shows a bit of restraint, while still feeling comfortable and intimate. Reservations are tough to get, so pan ahead! Boutique: Bird -- This longrunning shopping staple first opened in 1999, pioneering stylish storefronts in Brooklyn. The store makes you feel like you’re enveloped in nature with wood-paneled walls and plenty of plants. 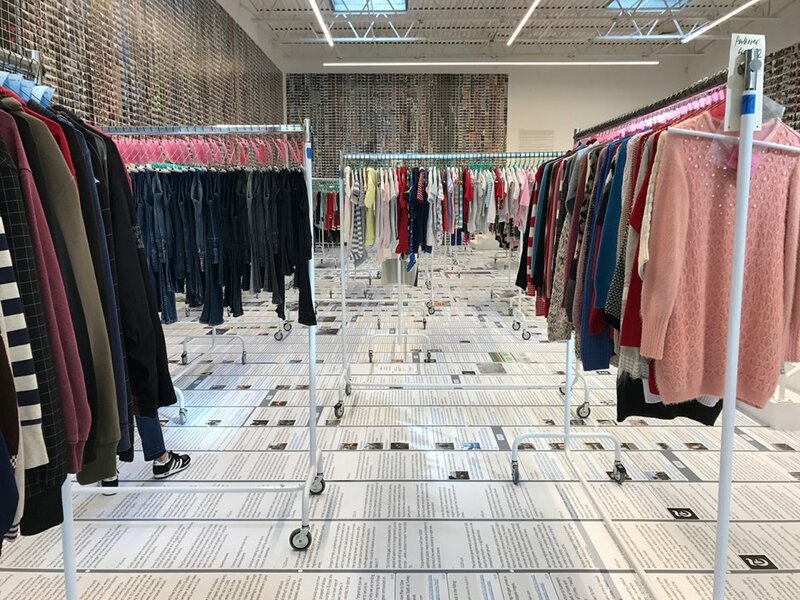 In addition to being the first LEED-certified retail store in NYC, this is the place to find of-the-moment-fashion from designers like Isabel Marant and Rachel Comey. Cultural attraction: Brooklyn Botanic Gardens -- Just a short cab, Uber or bike ride away, this beloved Brooklyn attraction is the best place to wander and enjoy the expansive outdoors. With acres of beautiful and unique plants and flowers, the gardens are a reminder that nature is near, even in this urban concrete jungle.